The shortest month is almost over which brings another batch of free games. As always, the Xbox One games are yours to keep as long as you have an active Gold membership, while the 360 titles are yours even if you drop to Silver. All games below are available to play on Xbox One through Backward Compatibility. Starting off the month for Xbox One is Trials of the Blood Dragon. This is the hybrid game that combined the popular Trials series with the also popular Far Cry Blood Dragon spinoff. It’s not considered a great title for either of the series, but it’s worth a look. Ending the month will be SUPERHOT. An indie title that taks you with evading bullets and bad guys by bending time. The slower you move, the slower time moves. Time moves only when you move. Blurring the lines between cautious strategy and unbridled mayhem, SUPERHOT is the FPS in which time moves only when you move. No regenerating health bars. No conveniently placed ammo drops. It's just you, outnumbered and outgunned, grabbing the weapons of fallen enemies to shoot, slice, and maneuver through a hurricane of slow-motion bullets. With its unique, stylized graphics SUPERHOT finally adds something new and disruptive to the FPS genre. SUPERHOT’s polished, minimalist visual language helps you concentrate on the most important - on the fluidity of gameplay and cinematic beauty of the fight. SUPERHOT features: - Endless Mode - How long can you last against unyielding waves of enemies? - Challenge Mode - Take on SUPERHOT with your bare hands, no restarts, timed runs, and more. - Replay Director - Edit and share your most epic in-game moments - Extras - Delve further into SUPERHOT with mini-games, ASCII art, and [redacted]. Thirty months in the making. Thousands of hours put into development and design. From its humble origins in the 7 Day FPS game jam, through a hugely successful Kickstarter campaign to a plethora of awards and nominations from industry experts, SUPERHOT is a labor of love by its independant, dedicated team and thousands of backers from all around the globe. 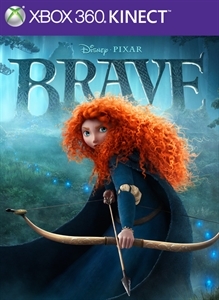 For the 360 the month will start off with Brave: The video Game. The game that released alongside the Disney movie. Ending the month will be Quantum Conundrum. 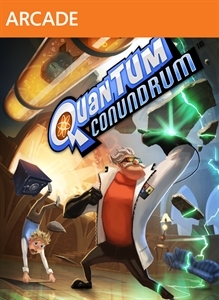 This is a puzzle game that uses different dimensions and physics to progress through each challenge. *Note* The description for Brave mentions it requires Kinect, but I've read from TA that it can be completed with out it. I can't say for certain either way.